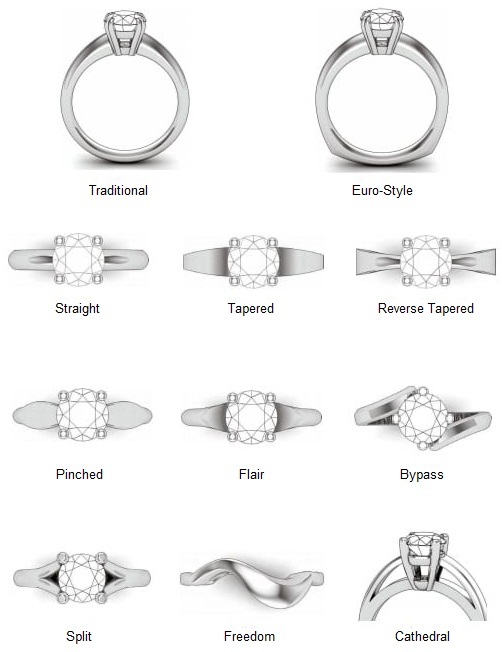 Because there are many components to consider when buying a ring, it is important to know a little ring anatomy before you begin. 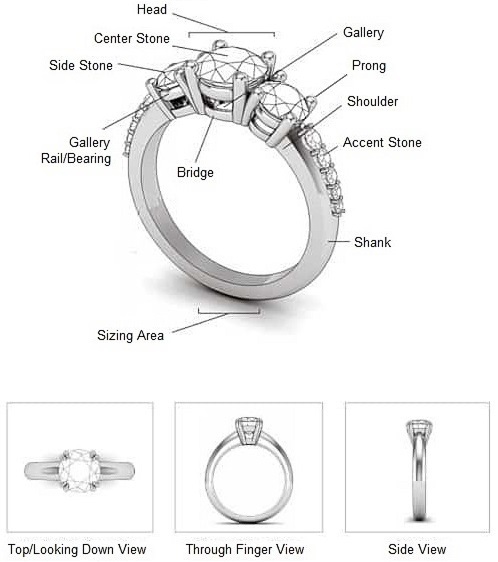 The anatomy of a ring, includes all angles, whether viewing from the top/down, viewing through finger, or from the side. Each ring will have a unique shank style, which is the gold or platinum part of the ring that encircles the finger. 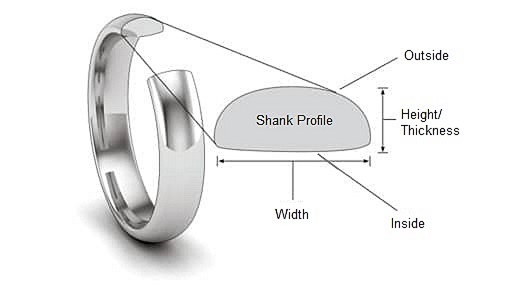 The cross sectional view or ring profile, ranges from flat inside round, comfort-fit, inside round, flat, and knife-edge. 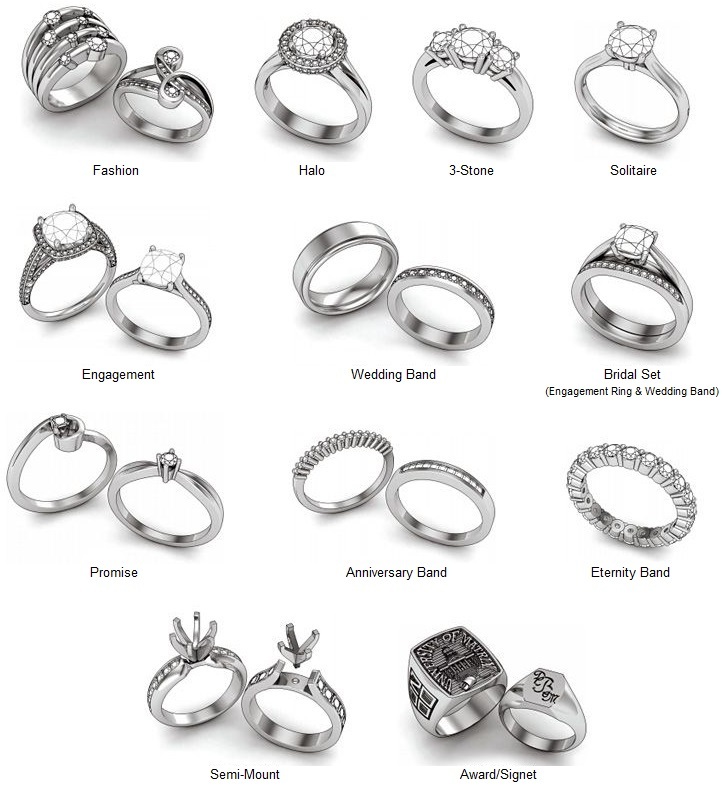 Choosing a ring style depends on personal preference. When deciding on a bridal set, keep in mind that the engagement ring and matching band are created to complement each other. Depending on the set, there may be gaps between the ring and the band. A shadow band is masterfully crafted to shadow the engagement ring. The band is customized to perfectly accent the engagement ring so that no gap can be seen. A straight band is designed to complement and sit next to the engagement ring. One advantage of a straight band is that it can be worn independently from the engagement ring. 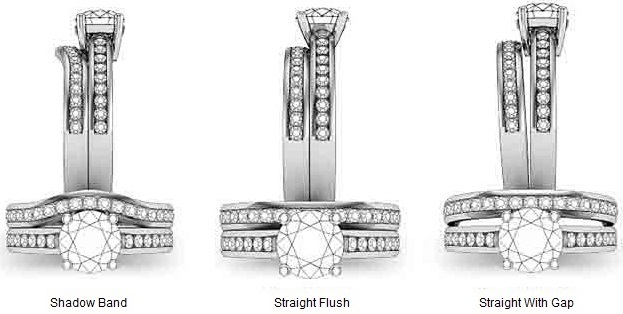 A straight band can fit flush against the engagement ring, however, if the engagement ring has a center setting that prevents the band from sitting flush, a gap can be seen between the ring and band.